A self-driving Uber car hit and killed a pedestrian Sunday night in Tempe, Arizona, police said, in what appears to be the first case of a pedestrian death caused by an autonomous vehicle. 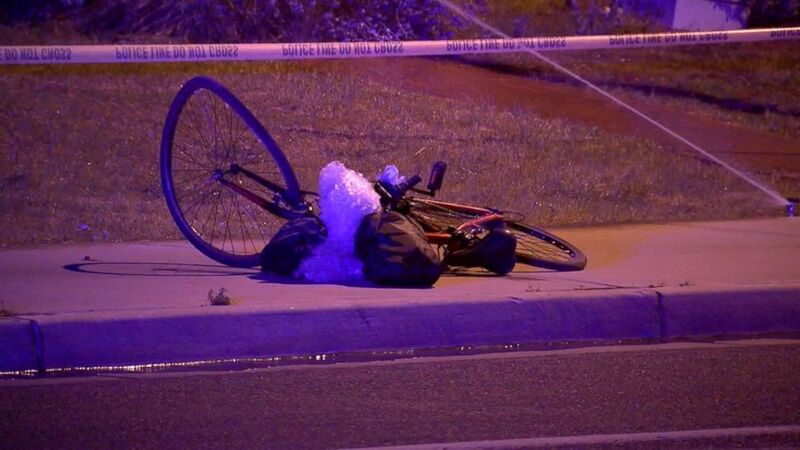 The vehicle was in "autonomous mode at the time of the collision, with a vehicle operator behind the wheel," Tempe police said in a statement. The female pedestrian, identified as 49-year-old Elaine Herzberg, was walking her bicycle across the street outside the crosswalk when she was struck, police said, adding that an investigation is ongoing. She died of her injuries at a hospital. There were no passengers in the Uber vehicle. In a briefing on Monday afternoon, police said the car was equipped with multiple cameras -- one looking forward and one facing the human driver. Police added that the driver showed no signs of impairment and that prosecutors will be looking at the case for possible charges. The vehicle was going 40 mph when it hit the pedestrian. There was no indication the car attempted to slow itself before the collision. In a statement to ABC News, Uber said, "Our hearts go out to the victim's family. We are fully cooperating with local authorities in their investigation of this incident." In the wake of the crash, Uber has suspended its self-driving operations in San Francisco, Pittsburgh, Phoenix and Toronto, the ride-sharing service said. Editor's note: An earlier version of this story misidentified the women. She was walking her bike across the street when hit, police said.